Sports Illustrated Enjoy Cincinnati’s Opening Day for the Reds! Lots of kids not in school! 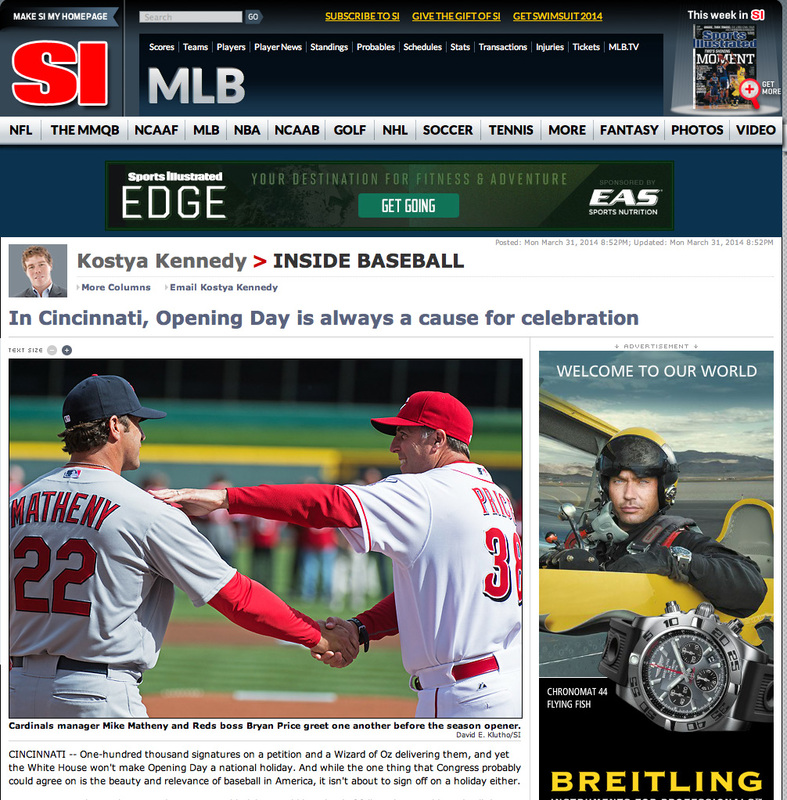 Kostya Kennedy thinks Opening Day in Cincinnati, Ohio is a national holiday. It certainly is. Go Reds! Read the SI article here. By the way: Kostya Kennedy has a book out called: Pete Rose: An American Dilemma. This entry was posted in Communities and tagged Cincinnati Reds Opening Day, Sports Illustrated by susanaknabe. Bookmark the permalink.